technology, business, entrepreneurship and startups for the eternally curious, creative and critical thinkers. Back in early November, the Tech world released a collective gasp as a $3 billion cash buy-out offer from Zuckerberg was rejected by two and a half year old Snapchat. Snapchat, who have still to make any revenue, had reached new highs of popularity, seeing over 350 million Snaps sent every day. Despite these remarkable numbers, many raised an eyebrow at the decision for an incredibly young business with equally young (although impressive) founders. Indeed, I wrote about the story myself and questioned the ability of Snapchat to go bigger and better. The feeling around Snapchat at the moment is that they do hold one clear advantage over other social apps; they are popular with teenagers. This was why many felt Facebook were willing to offer such a large amount to acquire them, essentially buying back the segment of population that Facebook have been losing. 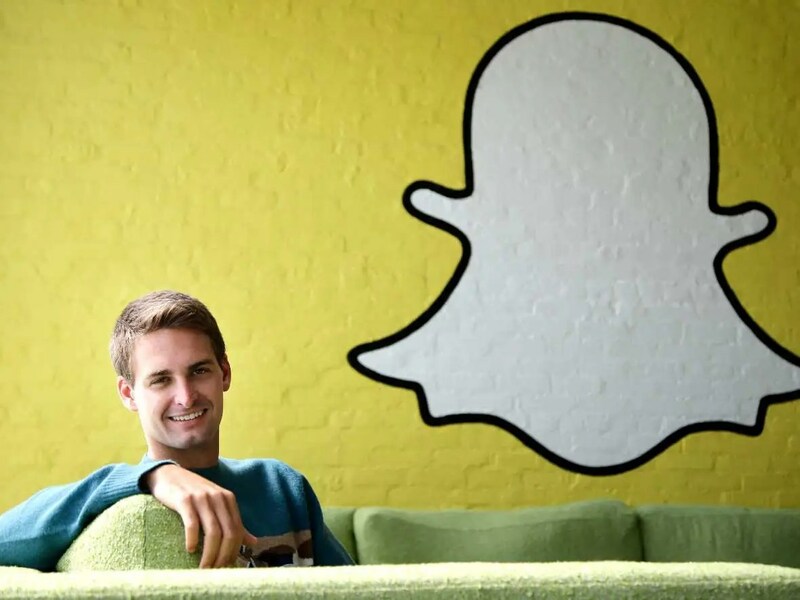 CEO Evan Spiegel will lead Snapchat into 2014 hoping for a smooth transition into monetisation. Two months have passed and whilst the initial hysteria has calmed somewhat, every investor, journalist, founder and there dog have an opinion on Snapchat’s decision. I write this follow up post today to surface some of the more interesting opinions and news I have seen, including: the man heading up Snapchat’s monetisation, the ideas they could try and a look at some other founders that have faced those very same decisions in the past. First, let us take a look at the man who has perhaps one of the most high profile and high pressure jobs in Sillicon Valley right now.That man is Philippe Browning, Vice President of Monetisation for Snapchat. In the past founder Evan Spiegel has openly said that he ignored emails regarding marketing or revenue, instead choosing to focus on product. This is why Browning was hired by Snapchat in May 2013, to pick up the load that moving forward will become the focus for the company. Browning, a former vice president of advertising and operations for CBS Mobile, will be tasked with developing Snapchat’s revenue and presumably work with Spiegel to begin building a sales team of some description. So what exactly is it Snapchat will be selling? As mentioned in my previous post, in app sales remain a target for Snapchat, who will look to popularise the sale of virtual goods in Western markets. Japanese app Line has done so to large success in Asian markets and Browning will look toward them for a working model. As is the case with all social platforms, advertising is another key possibility and many ideas have been put forward. It will be interesting to see whether Snapchat choose to focus on one method of monetisation at a time or go all out and release multiple channels. They will need to be smart in how they release these changes, in order to ease the change that end users will inevitably experience. Finally, amongst all the talk of revenue, a few interesting interviews have been released from those who have been there and done it before. Of course while Snapchat has seemed to cover almost all popular Tech blogs, it would not be the first time founders have rejected big offers, for better or for worse. This piece in the New York Times shares the views of those who are chasing monetisation after rejecting a bid, those who have already sold up and those who managed to steer their company all the way to successful IPO. I, along with many others, continue to listen out for the progress of Snapchat with tentative ears. There is something captivating about a company, founded both in management and conception by youth, on its mission to join the Unicorns. With the new year approaching, those at Snapchat will be wishing for a successful transition in to 2014, and as 2005 was the year of Facebook, perhaps we will look back on 2014 as the year of Snapchat. You never know, maybe their decision to reject $3 billion was not so ridiculous after all. Reblogged this on Web Bloggers Green Business 2.0+. My name is Stevan. I write and update the content of Forever Learning More; a blog covering technology, business, entrepreneurship and startups for the eternally curious, creative and critical thinkers. We learn more, so in turn, we can achieve more.